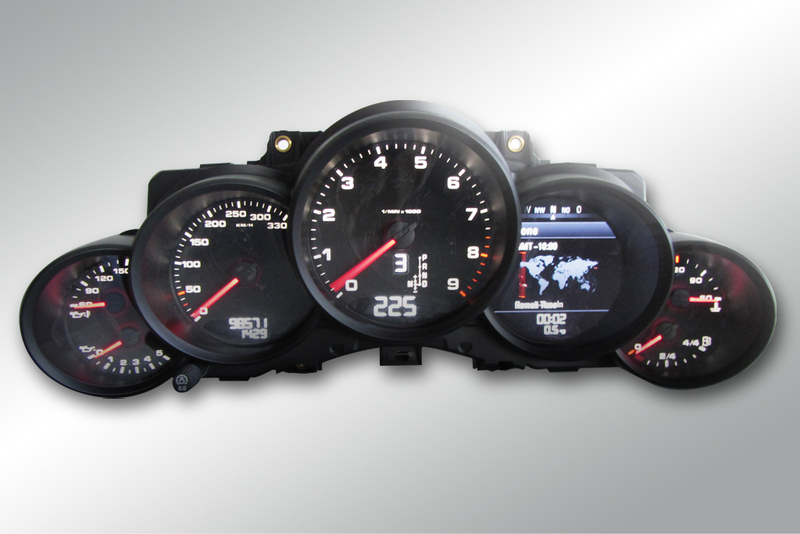 The traditional business of this division, the instrument cluster provides drivers with information such as speed, revs, fuel level and water temperature. Magneti Marelli Electronic Systems develops and manufactures instrument panels with integrated monochromatic displays (dot matrix), or the increasingly common colour display. It also manufactures more complex, fully reconfigurable clusters which can perform gateway functions. These kind of instrument panels which can be completely reconfigured, are based on TFT (Thin Film Transistor) technology and features a new concept of man-machine interface and graphics. This new concept no longer requires the use of fixed dials or indicators, allowing screens and information to be adapted to different driving contexts and, as a result, to configure the instrument panel differently depending different situations/needs. The instrument cluster prototype is also ready to be integrated with ADAS - driving assistance instruments – so that, for example, the images coming directly from video cameras placed in various areas of the car can also be integrated in the graphic interface. This feature thus guarantees an added value in terms of safety too. Last generation of reconfigurable instrument clusters is designed for better integration with other info-telematic and navigational devices fitted on the automobile.